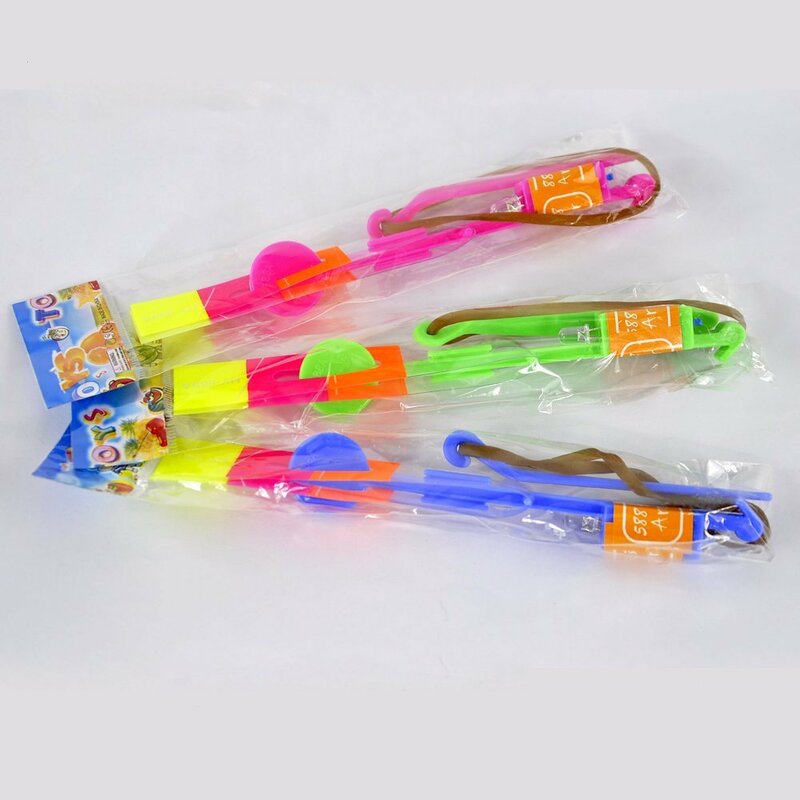 This is a wholesale lot of 600 premium copters, packed 12 per poly bag. 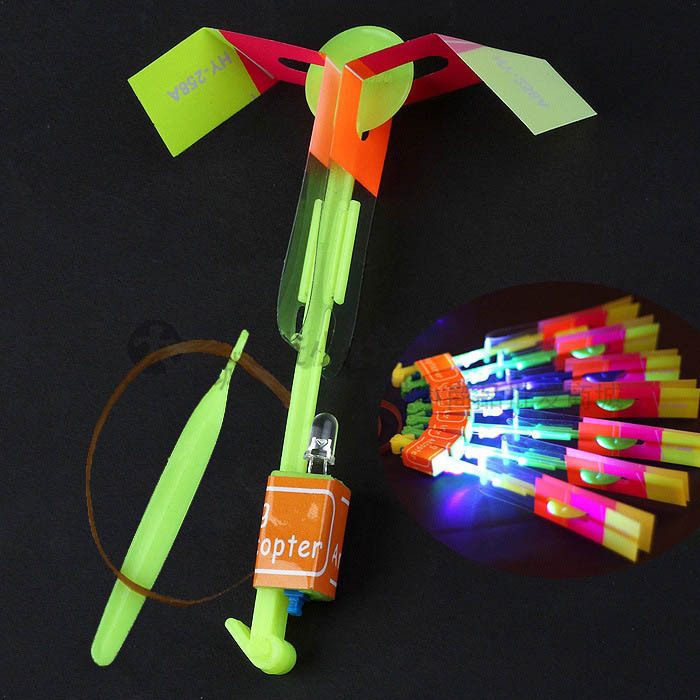 Rocket Copter LED fireflies Light Up The Sky! High-intensity Blue LED makes the firefly look a like a mini-firework as it shoots up and spirals back to the ground. Easy to fly--just pull back on the included rubber band launcher and it takes off like a helicopter and spiral-glides back to the ground. Launch it over and over again! LED lasts up to 4-6 hours of steady on. Includes button cell batteries.